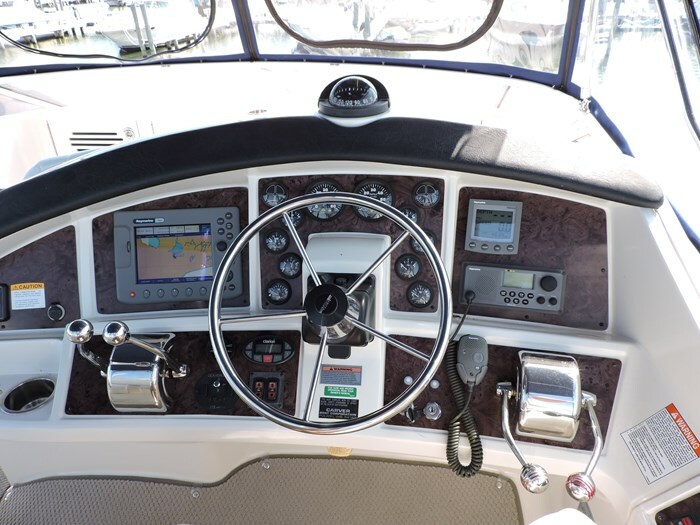 Navigation-Chart Plotter, Compass, Depth Sounder, Fish Finder, Full Engine Instrumentation, GPS with Antenna, Horn, Navigation Lights, Remote Spotlight, VHF Radio. 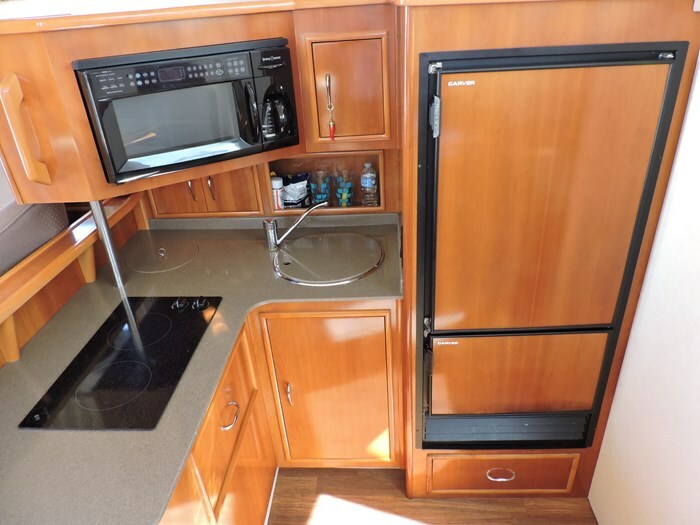 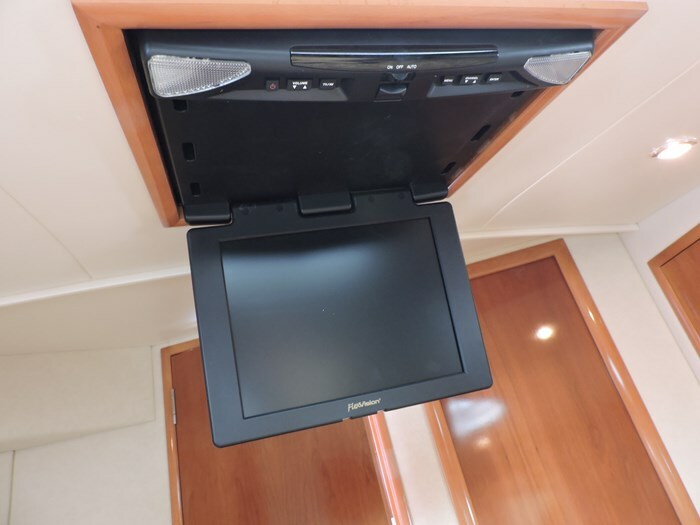 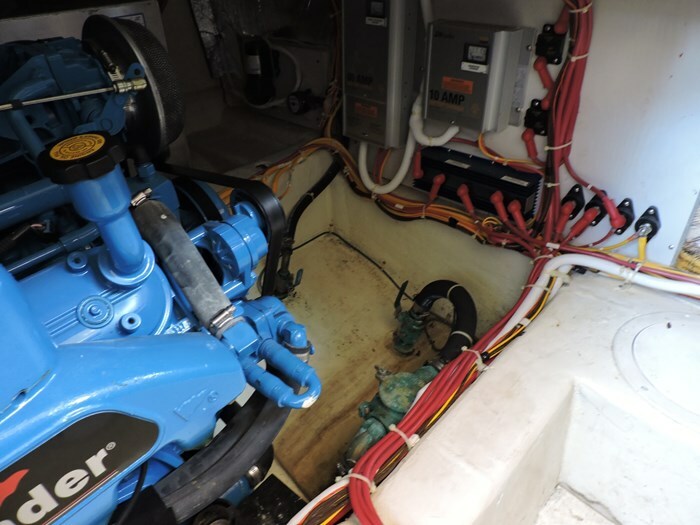 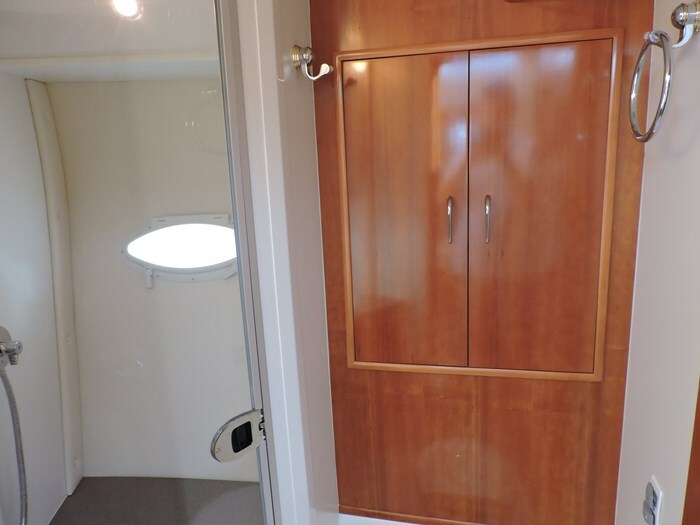 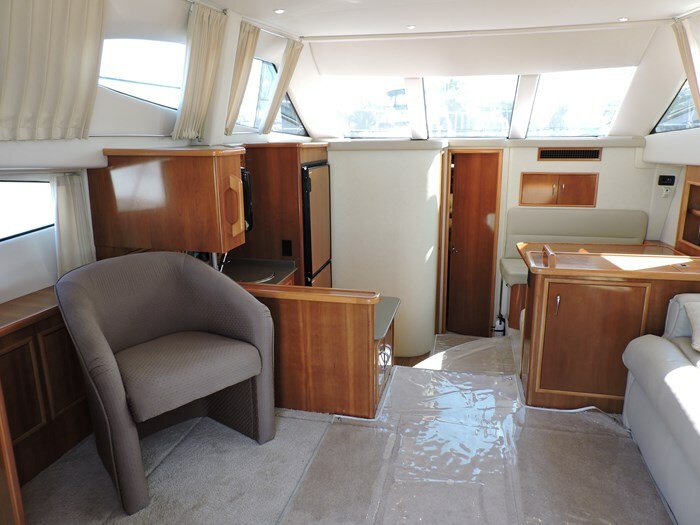 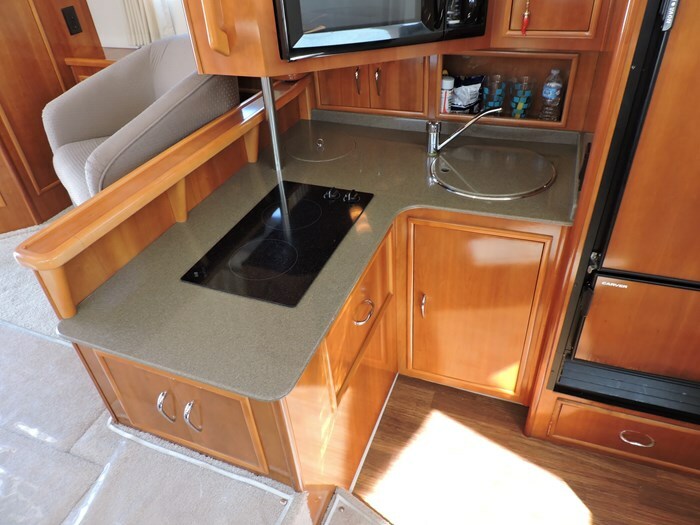 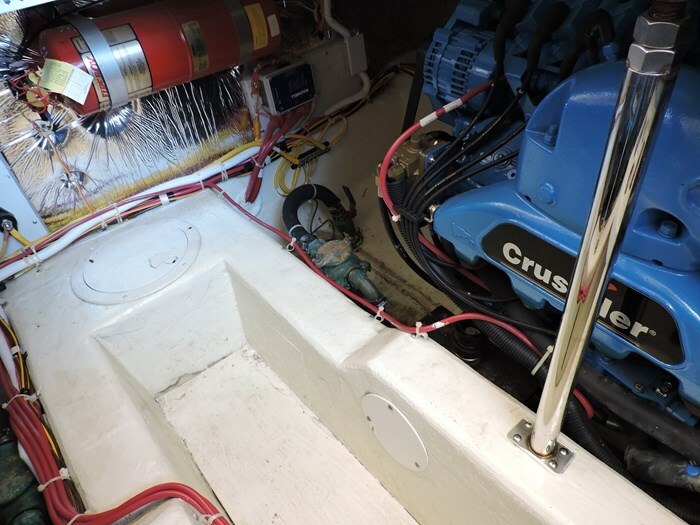 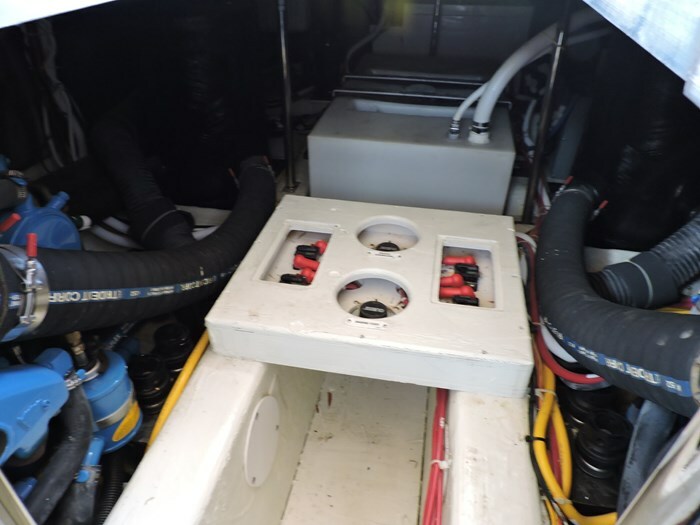 Systems-110V Hot Water, 12V Outlet, AM/FM/CD Stereo with Flybridge Remote, Anchor Windlass, Automatic Halon, Batteries with Charger and Switch, Bilge Pumps and Blowers, Dockside Water, Fresh & Raw Water Washdowns, Gas Generator, Hour Meters, Hydraulic Trim Tabs, Master Stateroom TV/DVD, Pressure Water, Remote Spotlight, Reverse Cycle Heat/Air Conditioning, Salon TV/DVD, Shore Power with Cords, Tilt Steering, Transom Shower, TV Inlet. 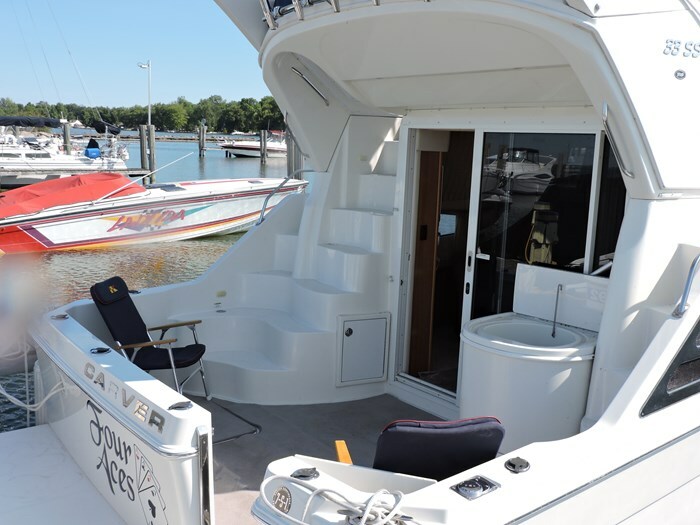 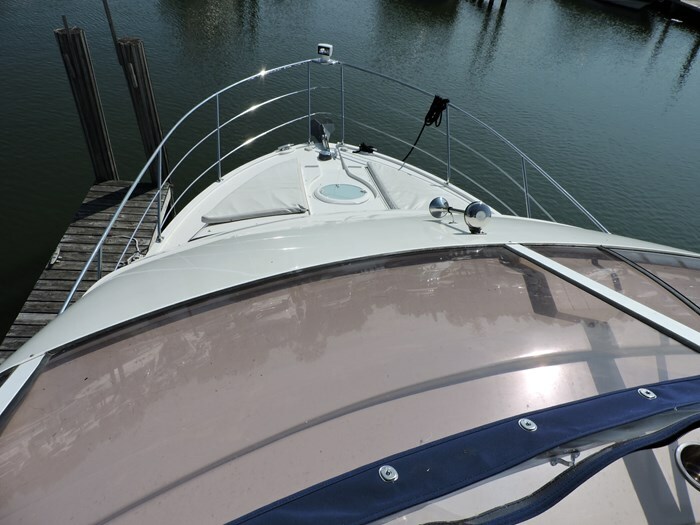 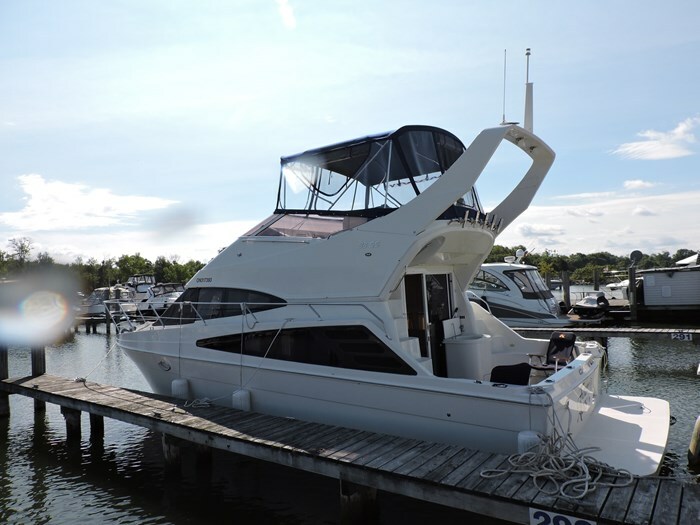 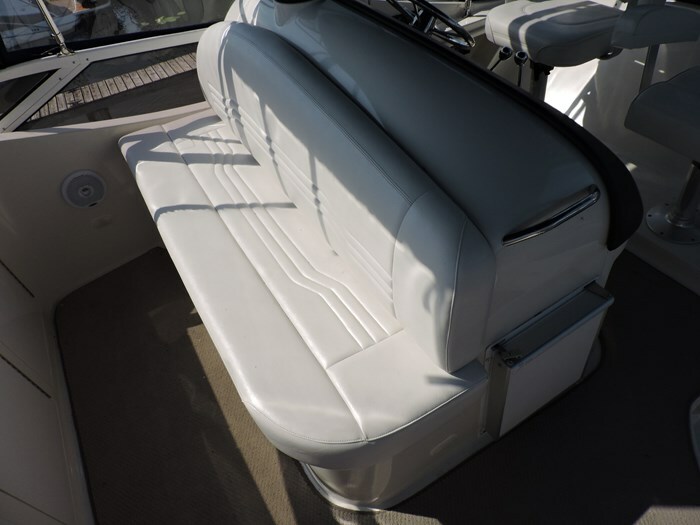 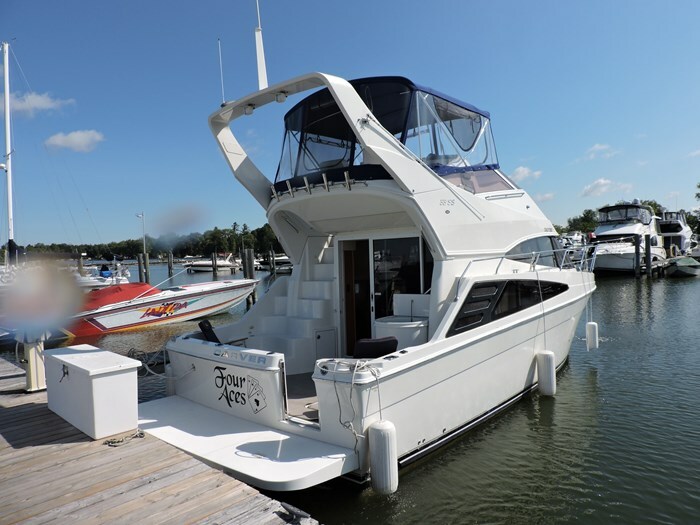 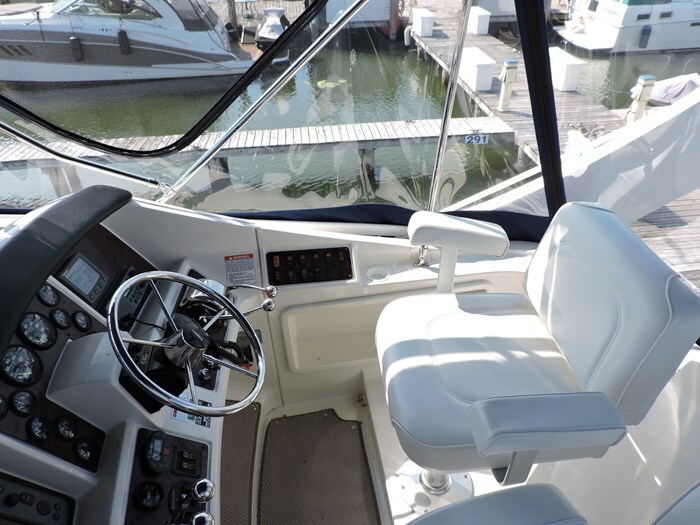 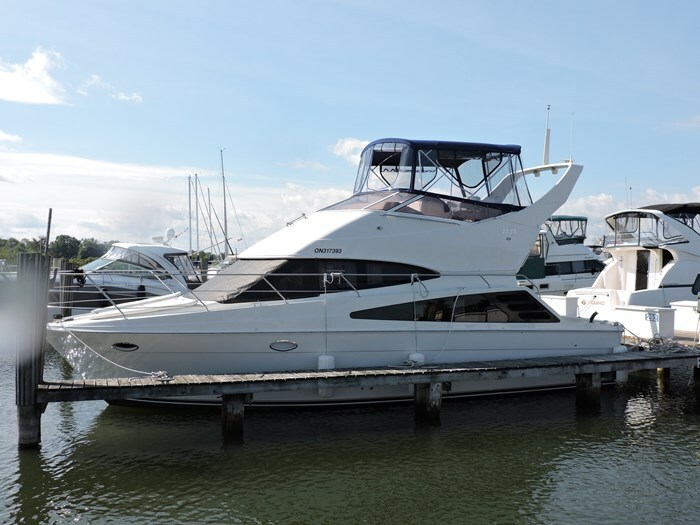 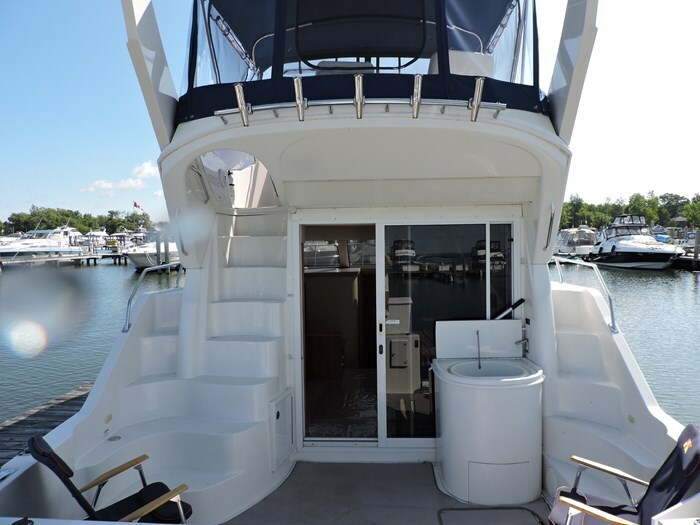 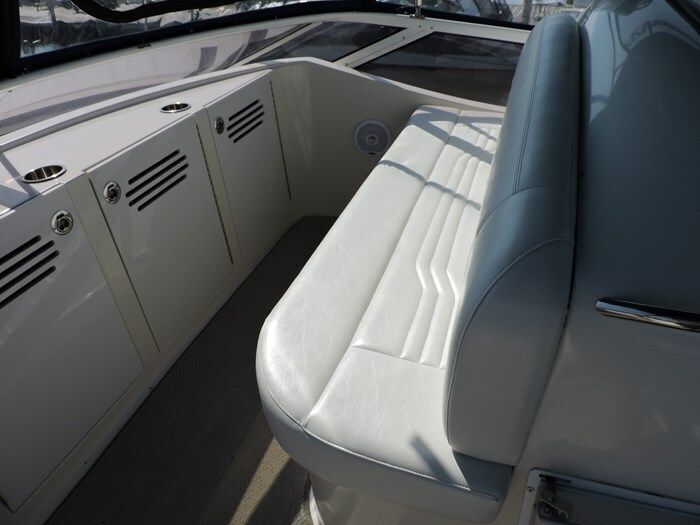 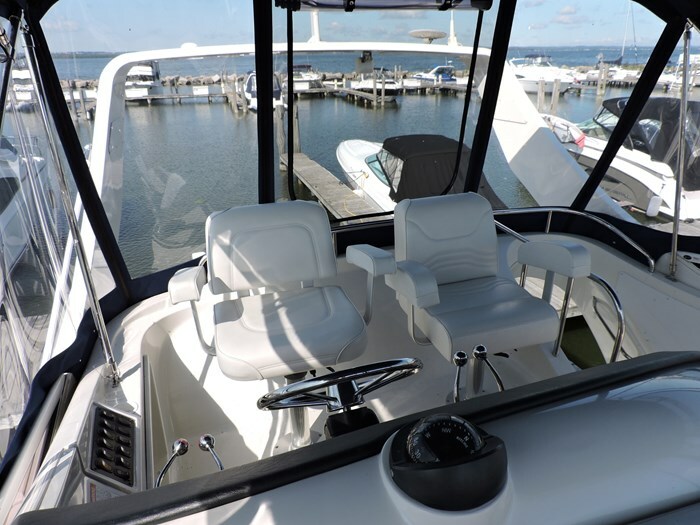 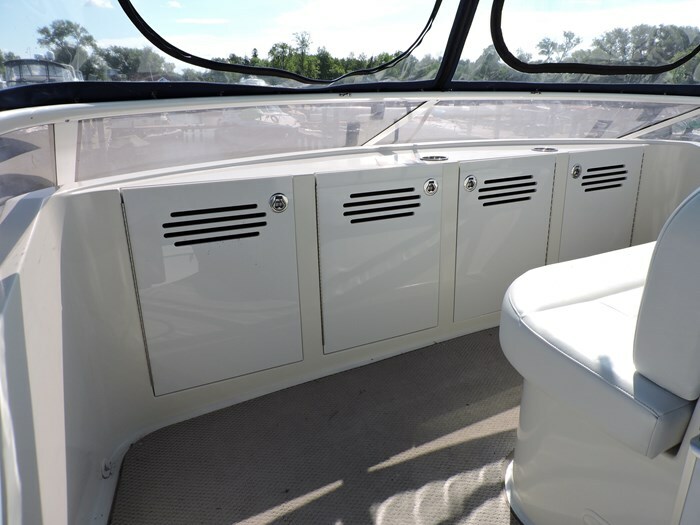 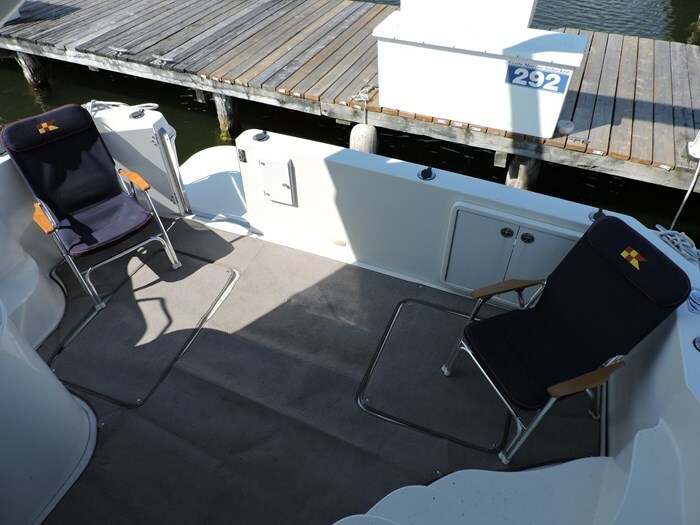 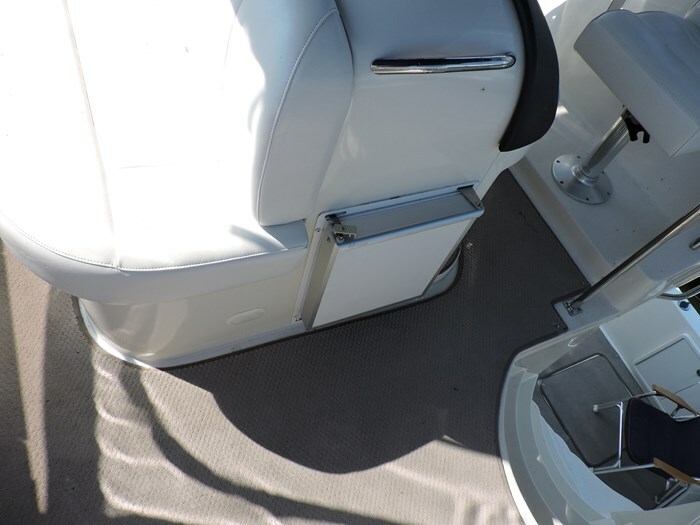 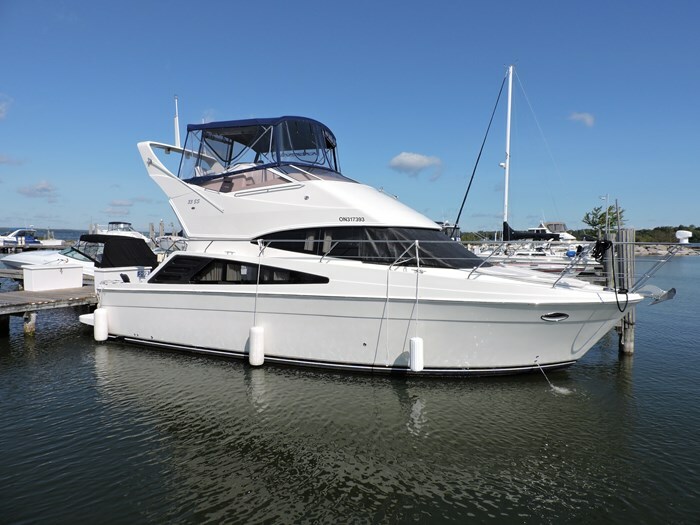 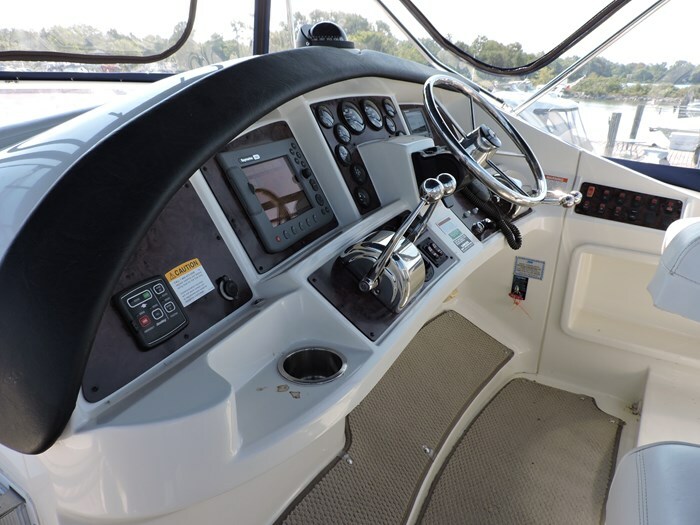 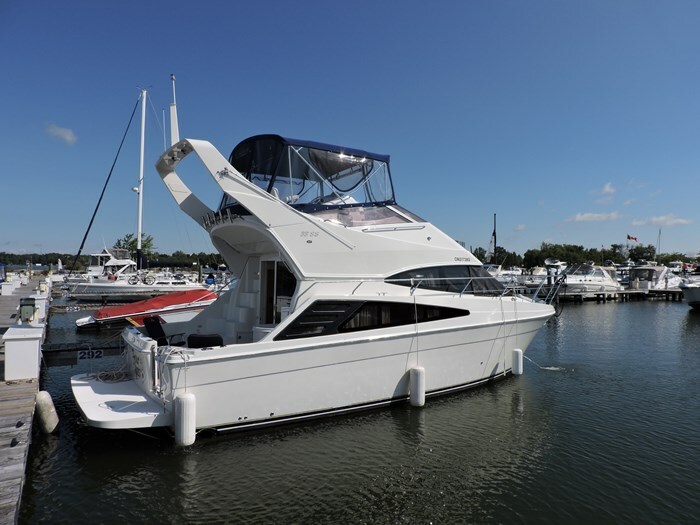 Exterior-Adjustable Helm Seat, Anchor Roller, New Bimini Top with Full Enclosure, Bottom Paint, Bow Pulpit, Bow Rails, Courtesy Lights, Exterior Icemaker, Fiberglass Cockpit Liner, Radar Arch, Swim Platform with Ladder, Transom Door, Cockpit Livewell, 6 Fishing Rod Holders. 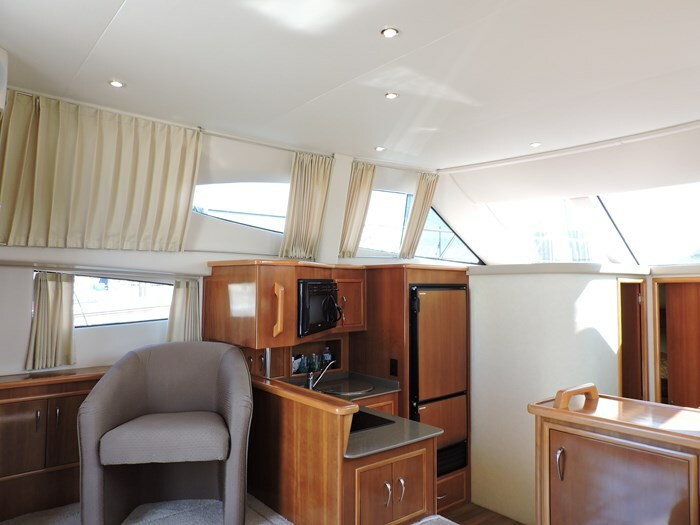 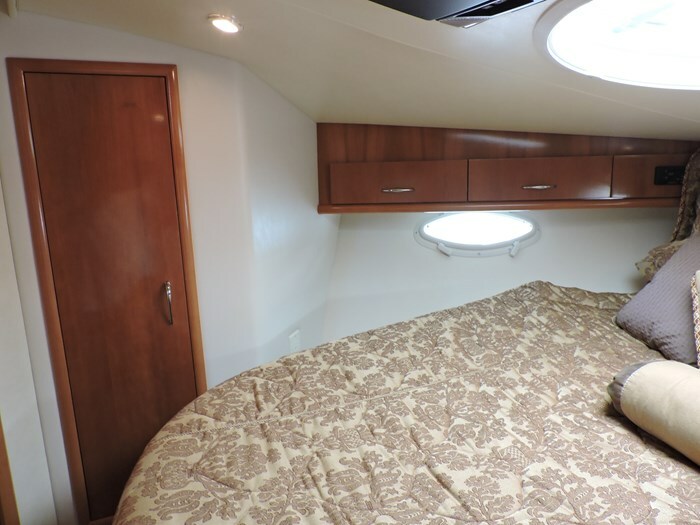 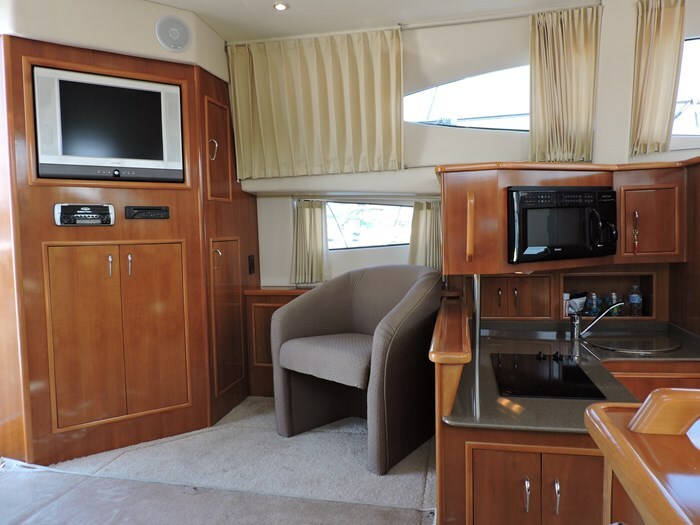 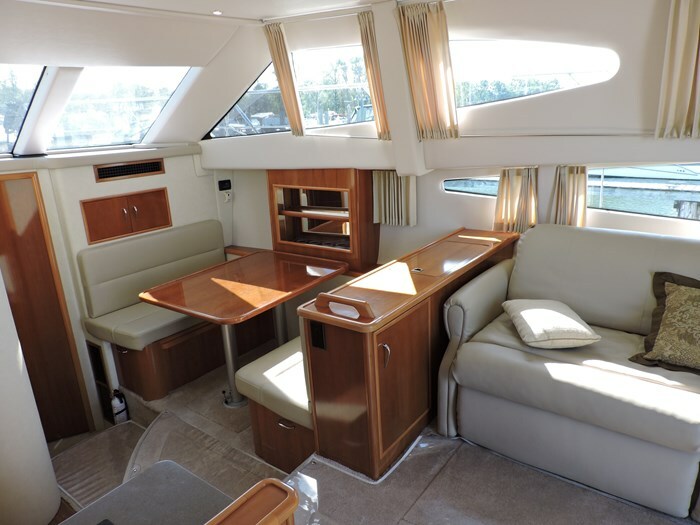 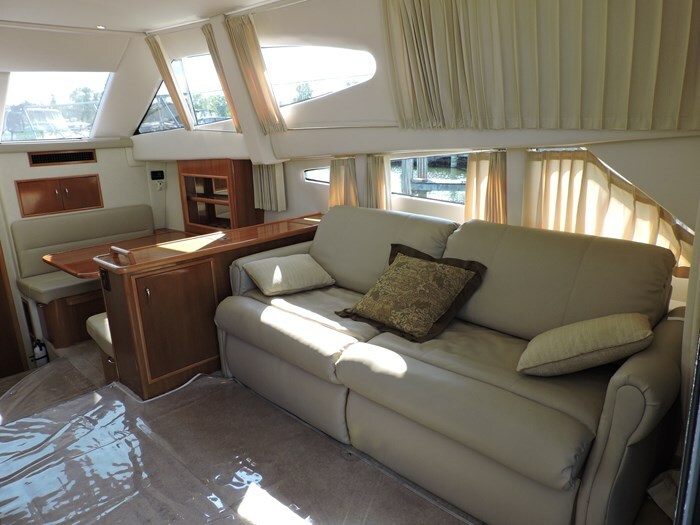 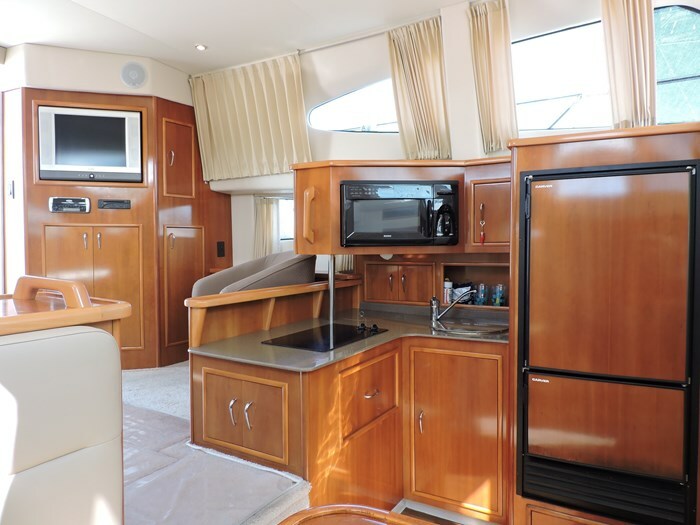 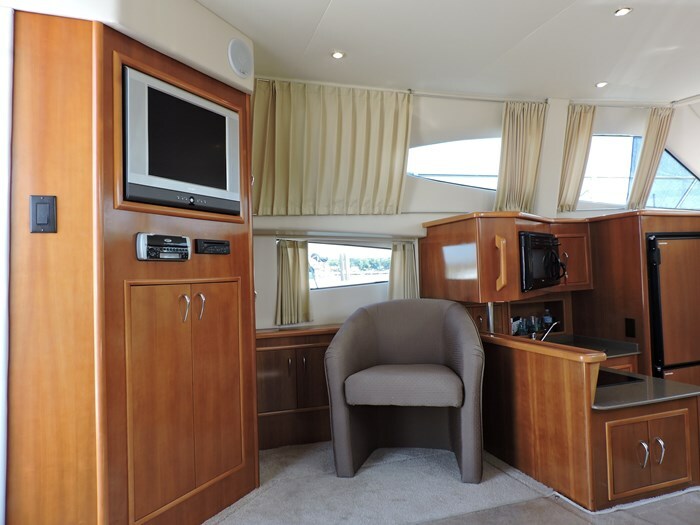 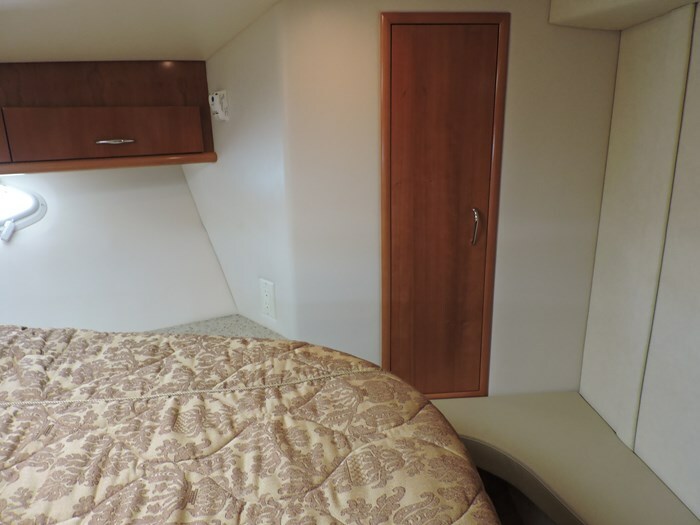 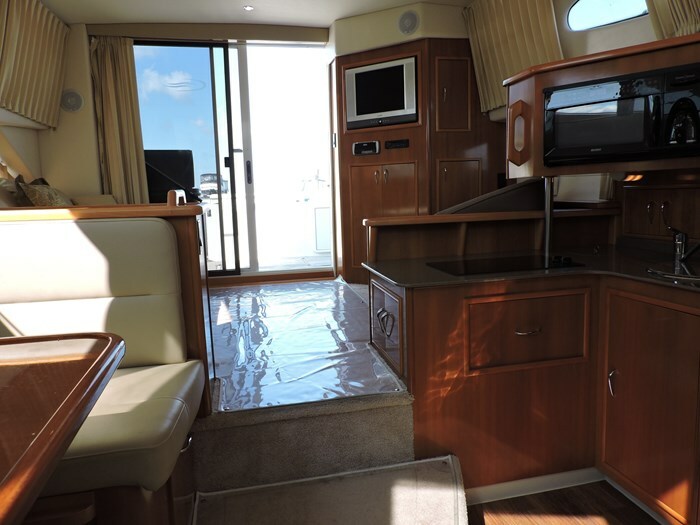 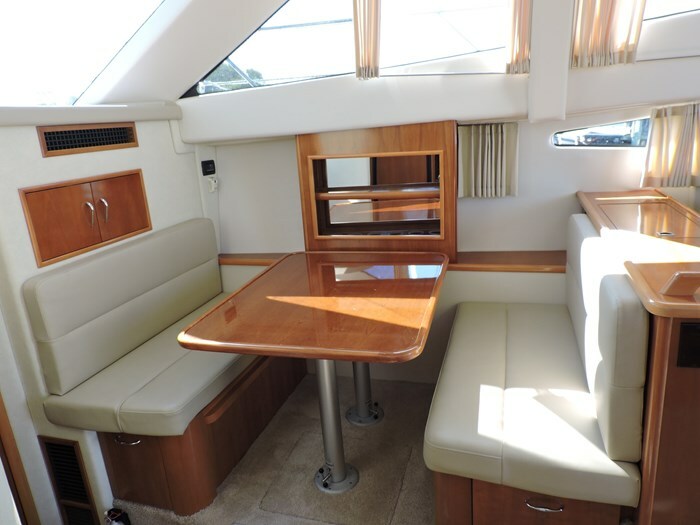 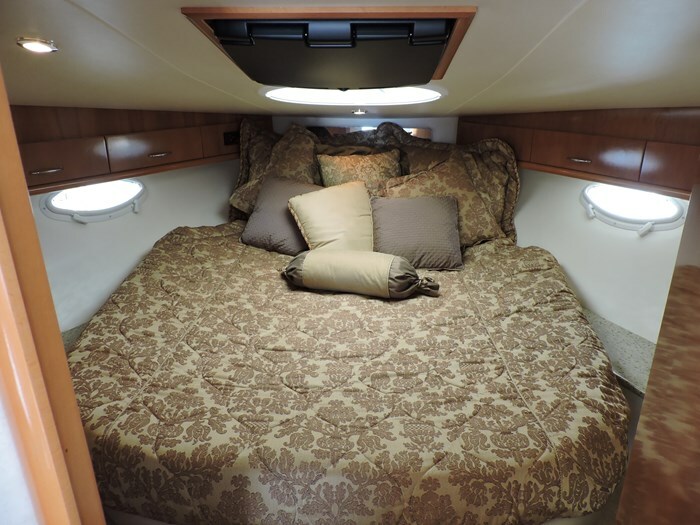 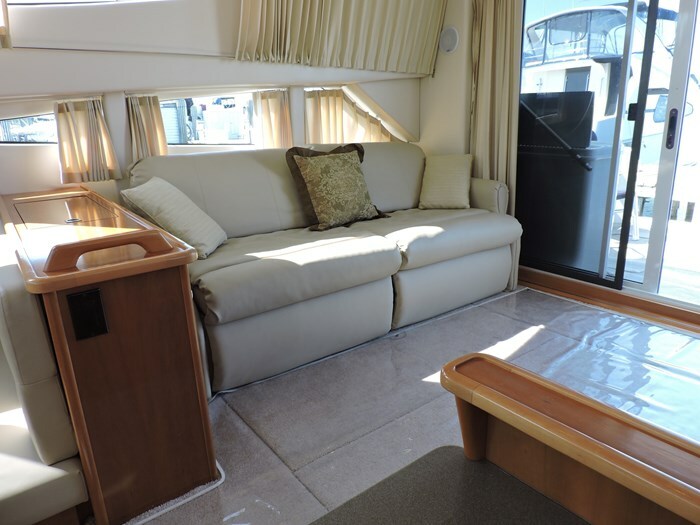 Interior-Cabin Carpet, Cabin Lighting, Carpet Runners, Hanging Locker, Linens, Salon Chair, Sofa Bed. 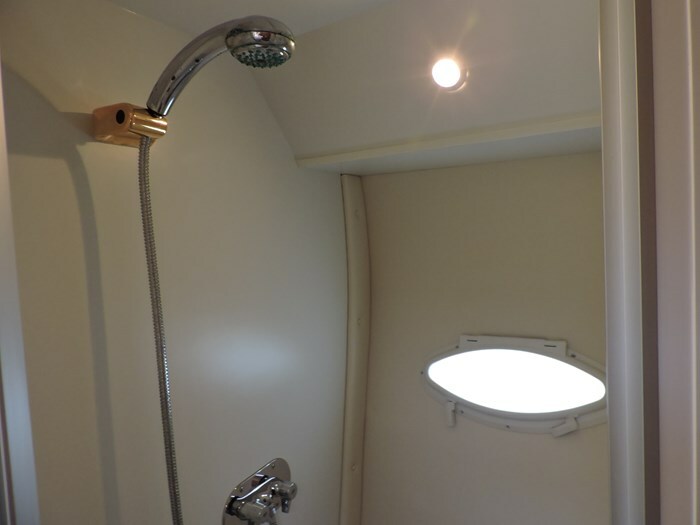 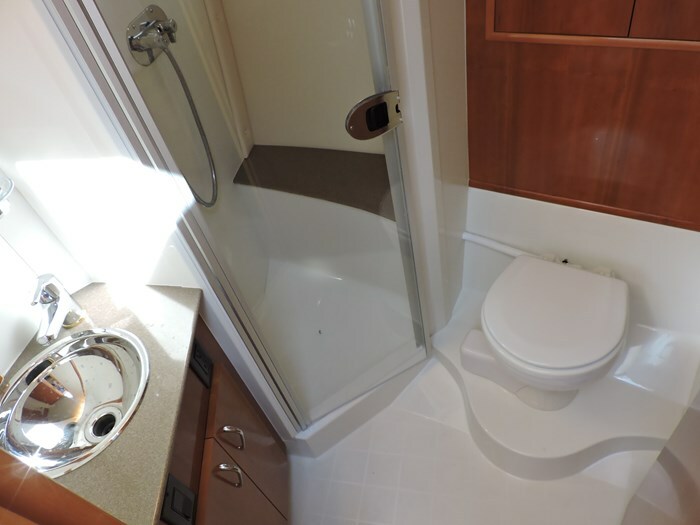 Head-Electric Flush, Sink, Stall Shower, Vanity. 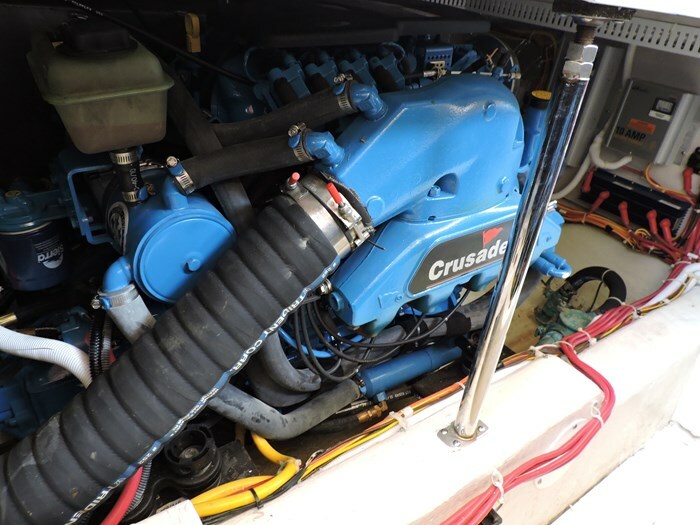 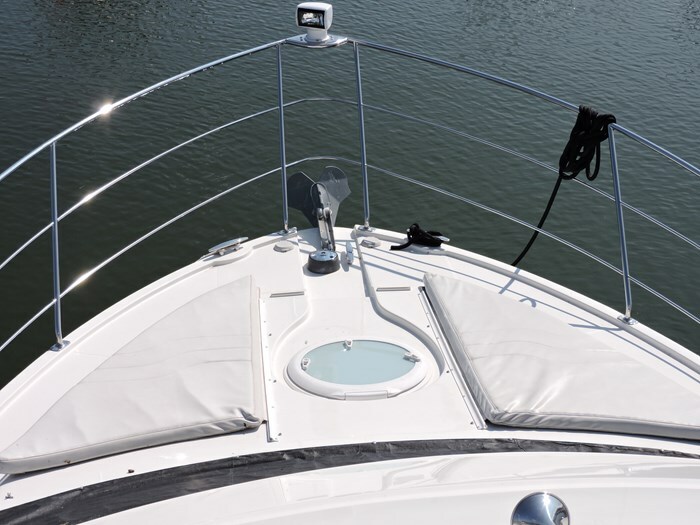 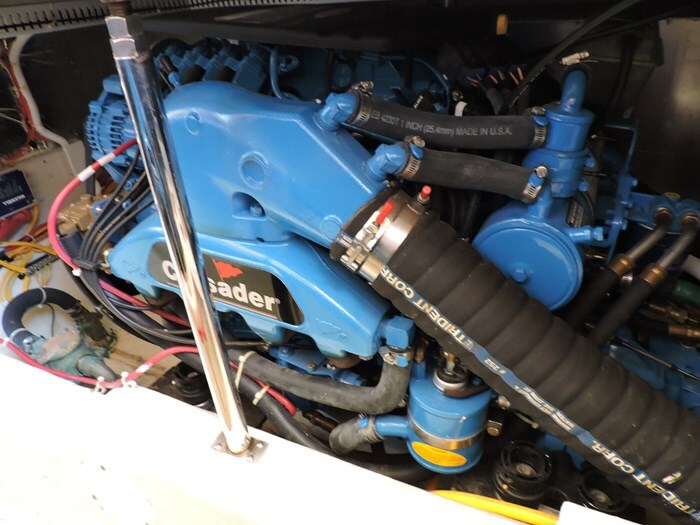 Safety-Anchor with Chain, CO Detectors, Dock Lines, Fenders with Adjusters, Halon System, Pike Poles.